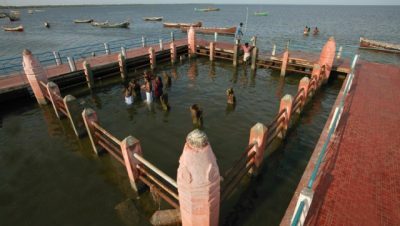 A coastal village is also known as Navashabashanam. It is believed that Lord Rama worshiped Navagraha here. The temple near by here, is dedicated to Devi, who is said to have killed the demon Mahishasura at this spot. Hindus perform religious rites for their forefathers here. Ramanathapuram has a railway station and is well connected to the major cities of the Country via Express / Passenger Trains. Ramanathapuram has a bus terminus. Mofussil buses, intra-city buses, Private Omni buses are available from major cities of Tamil Nadu. 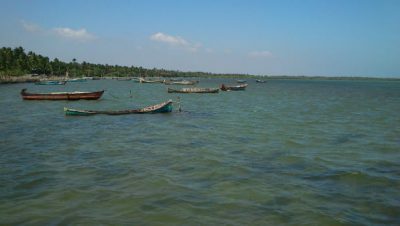 Devipattinam is just 14km from the district head quarter Ramanathapuram. Hotels are available at Ramanathapuram.